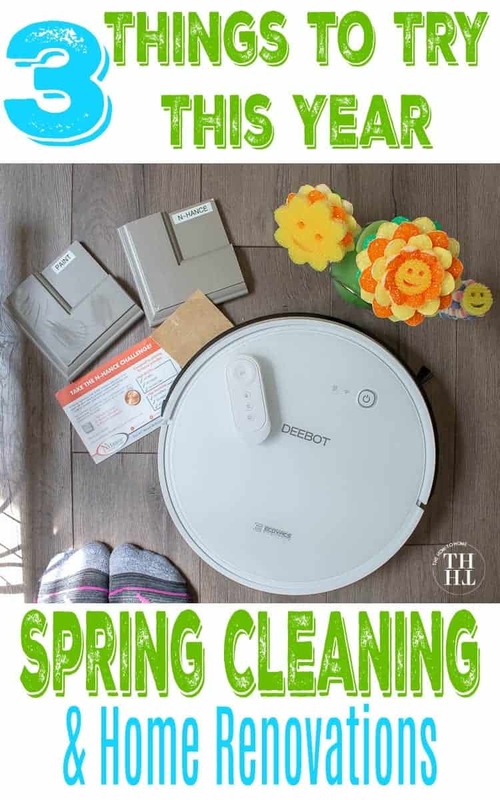 Three time-saving cleaning and renovation products including the DEEBOT 600, N-Hance cabinet refinishing, and the Scrub Daisy from Scrub Daddy. 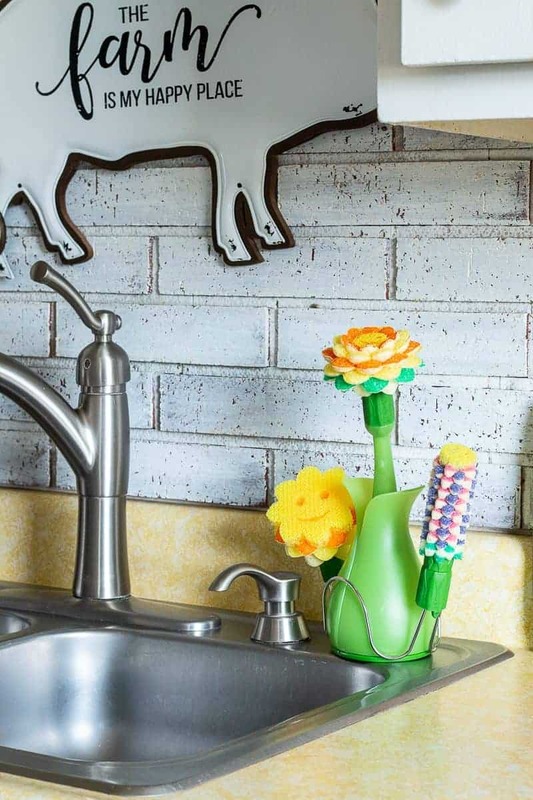 Whether you’re a big fan of cleaning or not, almost everyone gets the urge to clean, freshen up, and maybe even have some remodeling of their home done once it’s spring. I love to clean, but I also like to save time and today I’m going to share with you three wonderful products that will save you time and even money. The first product was fun to beat up and after seeing how well it performed during the durability test my son and I put it through, I’m keeping it in mind for my next home. Is a kitchen remodel or refresh one of your home goals this year? A good kitchen remodel can add so much value to your home and make you feel better about your space which, in my opinion, makes you more productive and happy. Over the years, I have painted my kitchen cabinets not once but twice and I can personally attest that the paint has not held up that well. I prepped everything properly, stripping the original finish, sanding, and painting as advised but, still, it did not hold up. Last year, we ripped out all of the real wood cabinets to open up our space but the main cabinets, the ones that are original to the house, are pressed wood 🙁 and those, unfortunately, were the ones that had to stay. IF they were real wood, I would absolutely have the cabinets refinished using N-Hance and after watching the video below, I’m sure you’ll agree! 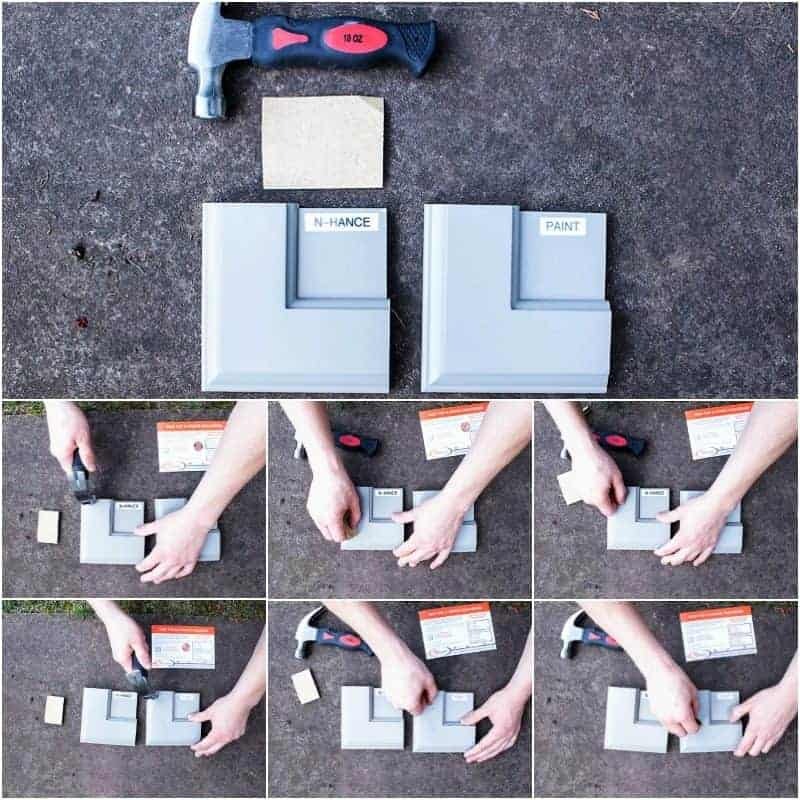 My son helped me to do a side-by-side durability test of N-Hance vs. latex paint and the results were amazing. The N-Hance held up so much better than latex paint. N-Hance is designed specifically for cabinets, NOT walls. The finish is exceedingly more durable than that of regular paint and for kitchen cabinets that experience so much wear and tear, N-Hance makes a huge difference. You can pick ANY color and N-Hance will match it. Get creative! N-Hance uses ultraviolet light curing technology that gives cabinets a rock-hard finish and there is very little downtime. When I painted my cabinets *UGH* my kitchen was torn up for over a week; it was more than a little overwhelming. N-Hance will save you money! With the money you save not replacing your cabinets, you can splurge on all the special touches that can take a kitchen remodel from so-so to amazing! Don’t limit yourself to just thinking of kitchen cabinets, this would also work for bathroom cabinets and any cabinets in your home. 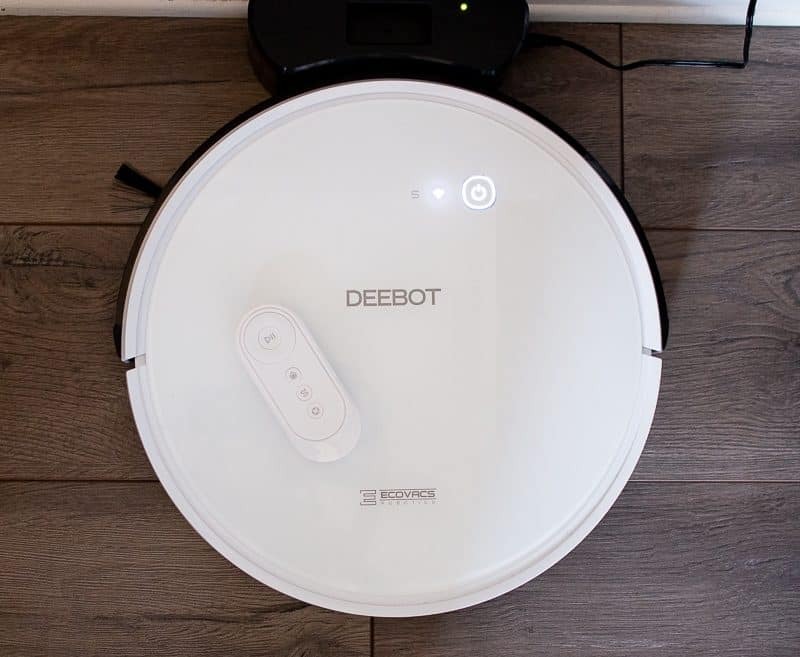 Next up, the ECOVACS DEEBOT 600. Honestly, I love this thing. 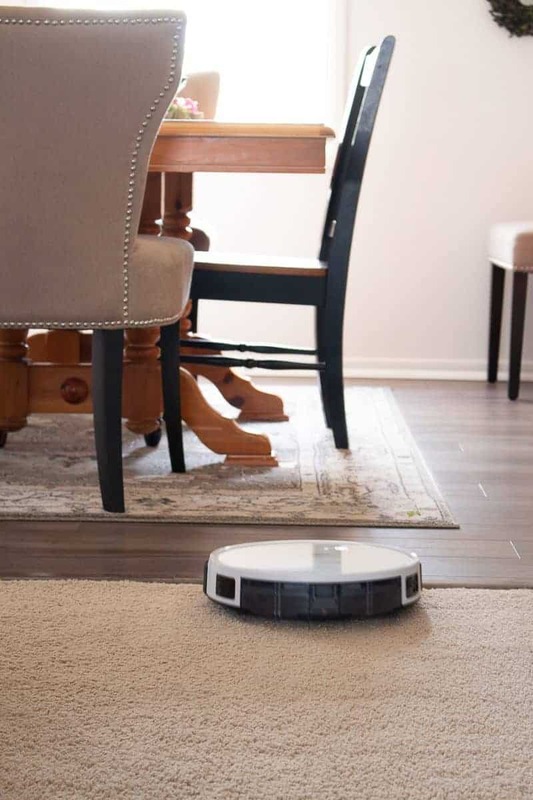 I usually sweep my kitchen and dining room floors every day, sometimes multiple times a day because, crumbs, but with the DEEBOT 600, I can set it to clean my floors automatically while I’m asleep and I wake up to clean floors. Seriously, how amazing is that? There’s even an app so I can set it to clean while I’m out and I come home to a clean house. My kids and husband have been known to randomly invite people over and then let me know at the last minute and with this option, that’s one less thing I have to worry about. The DEEBOT 600 works so I don’t have to and that’s a huge win in my book. So this is not only super useful, but it’s super cute! So cute, in fact, that every one of my sons and my husband asked what it was and said that it was cute. They usually notice nothing that isn’t food related, so that’s saying a mouthful. Here’s why I like it. 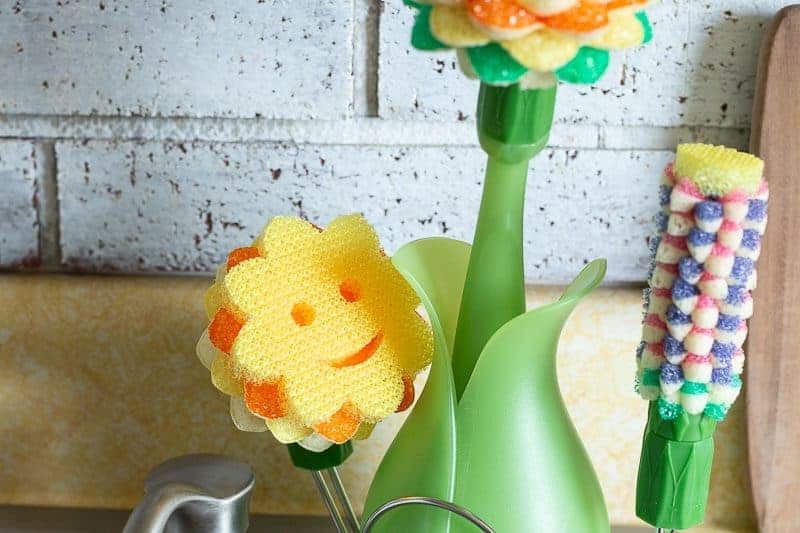 This is the Scrub Daisy Dishwand System and it comes with three specialized scrubbing heads that all fit perfectly into the vase & valet. I like order and purpose in my kitchen, and this incorporates all of that. The Scrub Daisy cleaning dishwand holds my favorite dish soap and makes dispensing easy with a leaf-shaped button. The Vase (look closely at the bottom) stays put on my sink ledge with a suction cup and allows water to drain out via the hole at the bottom. 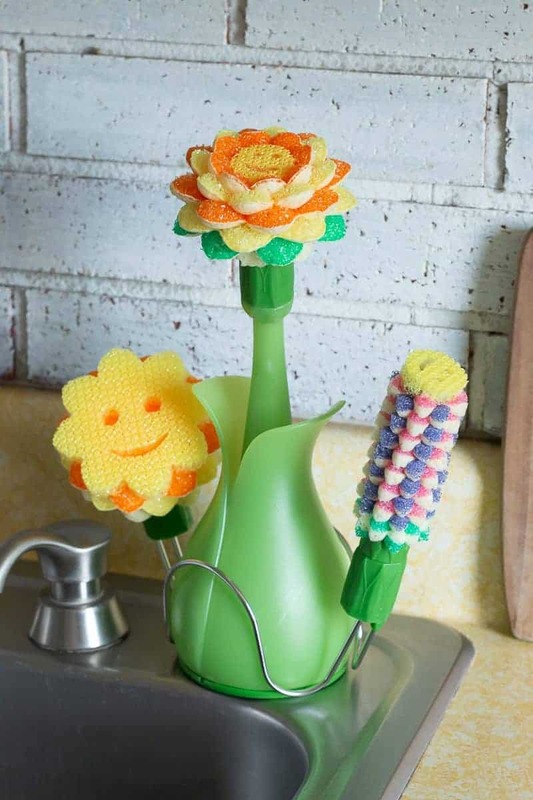 The Daisy (the one in the center attached to the wand) is the main scrubber I use. Its scratch-free petals are perfect for nonstick pans and even my best dishes. It’s made from ResoFoam and generates 60% more suds than ordinary sponges. The Sunflower (the sweet smiley face to the left in the picture above) works on any sticky residue left on the bottom of pans. It’s angled at 45 degrees to allow for leverage so you can really get everything clean and on the other side, there is a built-in scraper. Everything you need in one little tool. Last, but not least, The Hyacinth. This fits perfectly into water containers and baby bottles. It’s strong, flexible, and conforms to curvy containers. And, another HUGE plus, the Scrub Daisy Dishwand System can be sanitized on the top rack of your dishwasher. I hope to have a video up soon to show you how to change the heads and ways to use this wonderful product, but until then, if you have any questions, please let me know and you can also check out more specific details here. Oh, and there’s even a $1 off any Scrub Daddy Product available here. I hope you found some of this, or all of this, product information helpful. 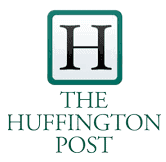 I enjoyed sharing it with you and promise to only share products I fully endorse!